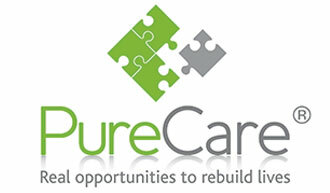 Funding for client placements must be agreed in writing with the purchasing organisation (“PO”), such as a local authority or a clinical commissioning group, in advance of the commencement of any placements with PureCare. Where an invoice is submitted by PureCare, payment of that invoice must be made within 30 days of submission of the invoice. Where invoices are not required, payment must be made to PureCare every 4 weeks to cover the entire 4 week period leading up to the payment date. Placements may be terminated at any time by PureCare or by the PO by serving 30 days notice. Fees are due throughout the notice period, irrespective of whether the client has moved out from one of PureCare’s premises or not. Notice will be deemed to have been served in instances where a placement breaks down for any reason whatsoever. Fees are due for 30 days from the date that the placement breaks down, irrespective of whether the client has moved out from one of PureCare’s premises or not. Placements may be terminated immediately by either party without further payment where either PureCare or the PO acts negligently. In the absence of any other agreement, any and all POs agree to abide by these terms.